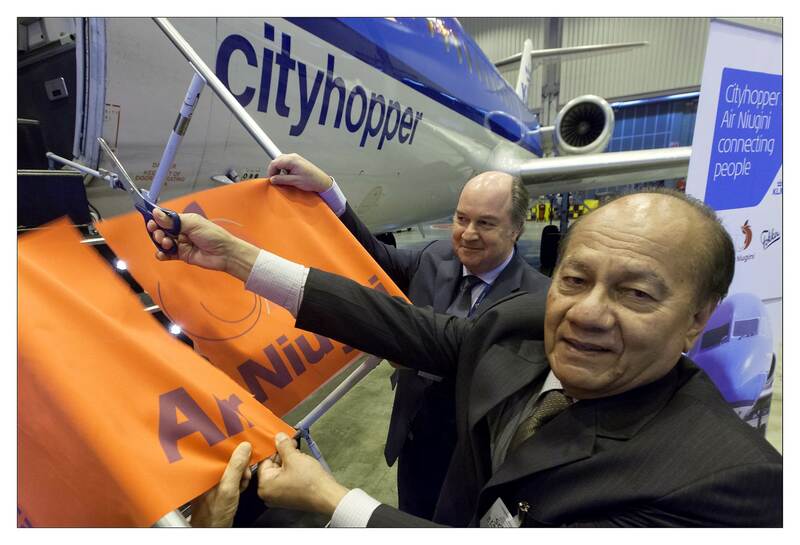 Air Niugini is acquiring nine Fokker 70 aircraft by 2017 as part of its re-fleeting exercise. Currently, the airline has two F70s in its fleet with the third before the end of the year. Air Niugini Board Chairman, Sir Frederick Reiher said the airline’s board and management believes the F70s aircraft are perfectly suited to PNG market due to their performance and operating economics. Subsequently, they were chosen over the closest alternatives, the Dash -8 Q400 and ATR. In-fact, the Fokker 70’s will be replacing the existing Dash8 Q400 fleet at Air Niugini. The F70 aircraft has spacious cabins with larger luggage bins and will be enhanced with LED lights , modern seats and a Wifi Inflight Entertainment System engineered, certified and fitted by Fokker services. Technically, the aircraft will have the state of the art based satellite navigation system and tail mounted engines which are less likely to ingest foreign objects from the runway. The F70 can take up to 80 passengers, 8 in business and 72 in economy class. The first F70 was added to Air Niugini fleet in April this year, followed by the second in October. The third F70 should arrive by December this year. “ When the first F70 operated its first commercial flight to Mt Hagen, it marked a significant expansion of jet aircraft operation on our major domestic routes, it also marked a beginning of a significant re-fleeting project for Air Niugini ,” Sir Frederick said. Meanwhile, Sir Frederick and Air Niugini Chief Executive Officer, Mr Simon Foo are currently in Amsterdam , meeting with the management of KLM City hopper, who are the current operators of F70 aircraft. They will also meet with the management of Fokker services to discuss the long term support of the Fokker 70/100 operations at Air Niugini.